On May 31, Gov. Charlie Baker joined Transportation Secretary and CEO Stephanie Pollack; Highway Administrator Jonathan Gulliver; Congressman Michael Capuano; members of the Massachusetts Legislature; and local leaders in Boston to celebrate MassDOT reaching the full beneficial use milestone on the ongoing Longfellow Bridge Rehabilitation Project. The achievement of this milestone means that all users are now able to enjoy the full benefits of this major multimodal bridge reconstruction project including the vehicular travel lanes, separated bicycle lanes, and sidewalks on both sides of the bridge, as well as MBTA Red Line infrastructure. 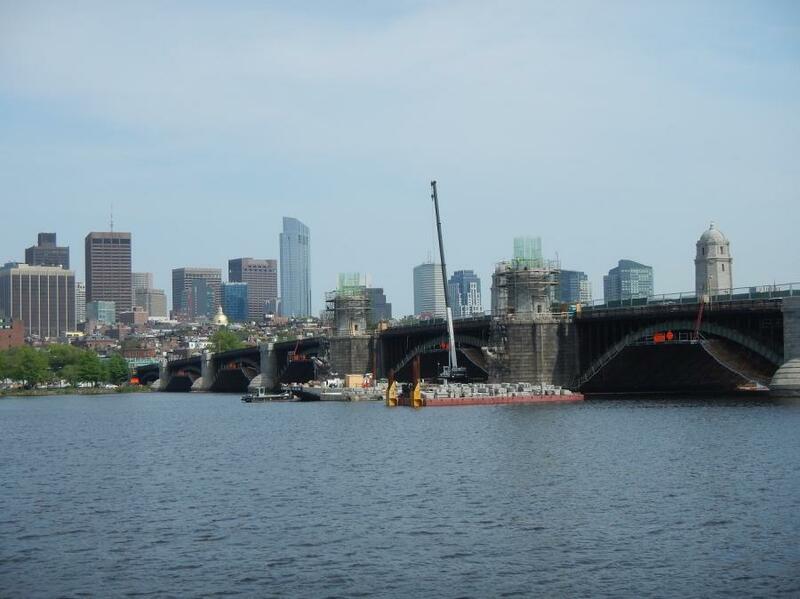 The Longfellow Bridge Rehabilitation Project has upgraded the bridge's structural capacity as well as multimodal access and bridge-to-city-street accessibility connections. Originally built in 1907, the historic bridge is a vital link between Boston and Cambridge, making important regional connections and contributing to the Charles River Basin Historic District. This is the first major rehabilitation of the bridge since 1959. “The Longfellow Bridge is an important connection between Boston and Cambridge, and with the careful attention of the project team and stakeholders, we have been able to preserve the historic nature of this landmark while providing needed structural improvements,” said Lieutenant Governor Karyn Polito. This rehabilitation project has added numerous multimodal benefits including eliminating a vehicular travel lane in the outbound direction; widening the sidewalks and bicycle lanes; and adding new MBTA Red Line track. MassDOT also updated the final design of the bridge this spring as a result of public feedback to further widen the bicycle lane in the inbound direction and add new raised vertical stanchions to physically separate the bicycle lanes and speed feedback signs on both sides of the bridge. This project is currently expected to be completed by this winter as MassDOT crews and contractors are continuing to conduct work on the approach roadways, construct the Frances Appleton Pedestrian Bridge, and carry out finishing work including landscaping and cleanup operations. Crews also are carrying out minor surfacing of the MBTA tracks to allow full speed Red Line travel over the bridge. Located on the site of the 1793 West Boston Bridge, this steel and granite structure was completed in 1907, and renamed to honor Henry Wadsworth Longfellow in 1927. The bridge was then extended in 1956 and rehabilitated in 1959. The bridge today consists of eleven original open-spandrel steel arch spans. The bridge has an overall length of 2,135 ft., and a deck width of 105 ft., which includes a 27-ft. fenced median occupied by the Red Line. The bridge carries 28,000 motor vehicles, 90,000 transit users, as well as pedestrians and bicyclists per day. MassDOT undertook a comprehensive public outreach and stakeholder engagement process prior to the start of construction in order to help formulate the future design of the Longfellow Bridge. The decisions made through the Longfellow public process helped form MassDOT policies used today to provide safe, fair, and equitable sharing of limited space for public transit, non-motorized uses, and motorized uses. For more information, visit massdot.state.ma.us/charlesriverbridges/LongfellowBridge.aspx.